Whether you’re a Fortune 100 client or a start-up, we take pride in putting forth the same award winning effort for each and every client. This is what we do. Since 2005, we have been at the forefront of the industry and our focus is your business. For nearly a decade we have continued to build our company through our own principles and referrals. We have the experience needed in a complex environment where things are constantly changing. Simply put. We have completed every project that have come though our doors. In an industry where less than 50% of projects get completed and companies come and go, we have maintained our presence for nearly a decade. 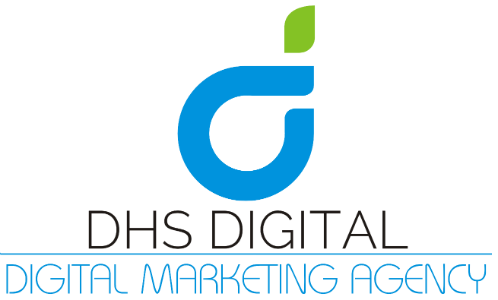 DHS Digital’s Digital Marketing and Web Development has evolved over the years from working with small businesses, to enterprise organizations and start-ups. We started our services with a goal in mind to meet every client’s needs focusing on budget, timeline, and quality. Since 2005, start-up businesses have chosen DHS Digital because we know how to work with businesses that are not only looking for their vision to come to fruition, but also how to make that vision a profitable reality. Not only does our expertise help start-ups get their projects done correctly the first time without wasting money going back and forth from one company to the next, but we also have the marketing expertise to make the project a real success. Keep in mind we are a U.S. company which means no oversees outsourcing or outsourcing of any kind leaving your project secure and giving you piece of mind. DHS Digital is a complete support system for Internet start-ups and we’ve partnered with many start-ups and have helped launch them into complete web properties making them attractive and marketable for investors including multi-million dollar acquisitions. Since working with start-ups is a huge focus at DHS Digital, we can help your company do things like avoid making mistakes by getting things done right the first time saving your much needed budget for other things related to your start-up expenses. We realize start-ups budgets aren’t flexible, and in most cases are tied to a very conservative budget or making mistakes which bite you later. With this being the case, we can minimize initial costs by developing websites in open source technologies and we also offer flexible payment terms. At DHS Digital you should have the confidence that we are the best of the best winning over 150 awards in Digital Marketing, Web Development, and Social Media and everything is handled on-site at our corporate headquarters based in Chicago. Give us a call today and get your start-up on the right track! Do you want the ultimate marketing experience? Go Ahead!